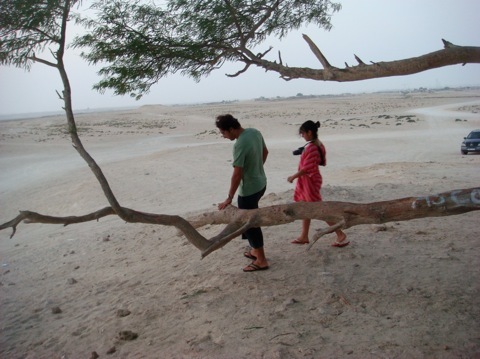 We lived in Barhain for almost two years and never visited the Tree of Life. 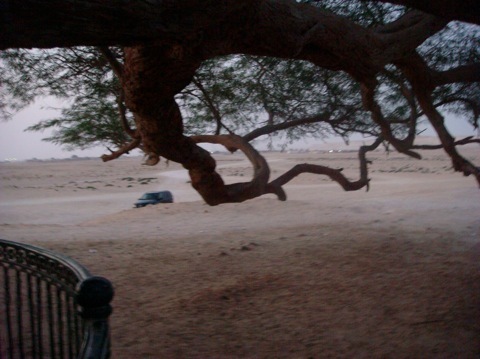 Only now, when i went back to celebrate the birthday of my friend Sheyma, i had a chance to visit the famous tree. Problem is, it was almost sunset when we arrived, and the tree is so large it was hard to capture it whole in one photo from a distance. So I sketched it. 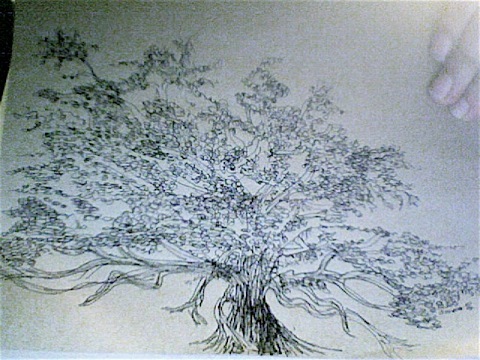 I ommited the fence around it because i wanted the tree of life to be free. 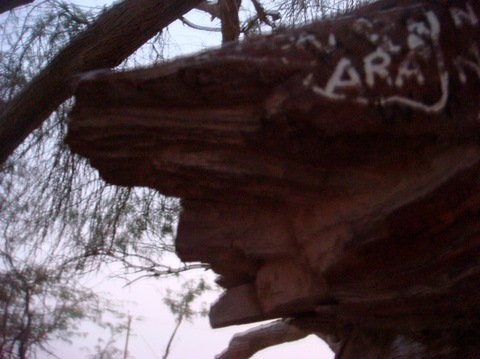 But I also understand why they fenced it in, as some people have no manners and carve their names on it. 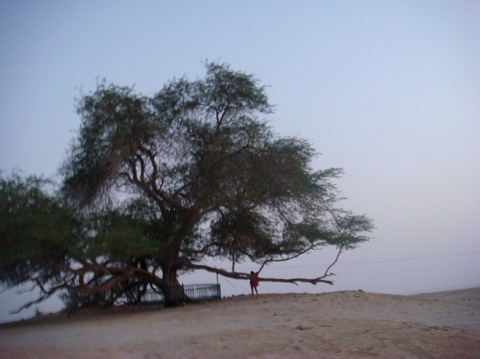 No one knows how this tree survives in the middle of the desert, and for this long. I read somewhere that this particular species lives only 100 years and apparently this one is over 300 years old. The branches dig into the sand and come out like mini trees. It was a fun afternoon, and i must mention we spent most of the time talking Broadway musical style. I think the tree enjoyed it. There are a lot of human-like shapes on this tree. See a profile on pic above? 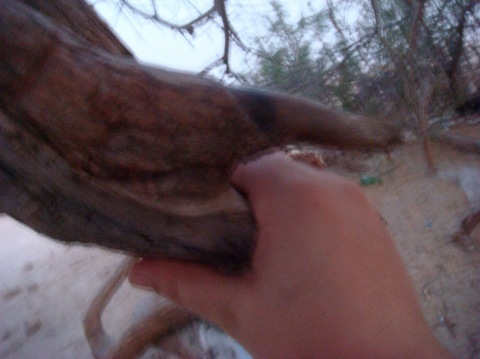 A bit shaky as i was shaking hands with the tree.